This week I finally got the first jumper out the wardrobe for this year and I couldn’t be more excited! I absolutely love autumn, it is my favourite season of the year because of the many cozy reasons. (unfortunately student halls don’t have baths so no pumpkin bath bomb for me this year) Although I will still wear last year’s jumpers, it is nice to add a few new ones to the collection since there is so much choice out there. I personally love to see these collages because it just saves so much time looking through each website. It is like someone else does the work for you and picks out the cutest items available! I also think it is good to see someone else’s favourites the you wouldn’t have spotted yourself or just to get some inspiration. 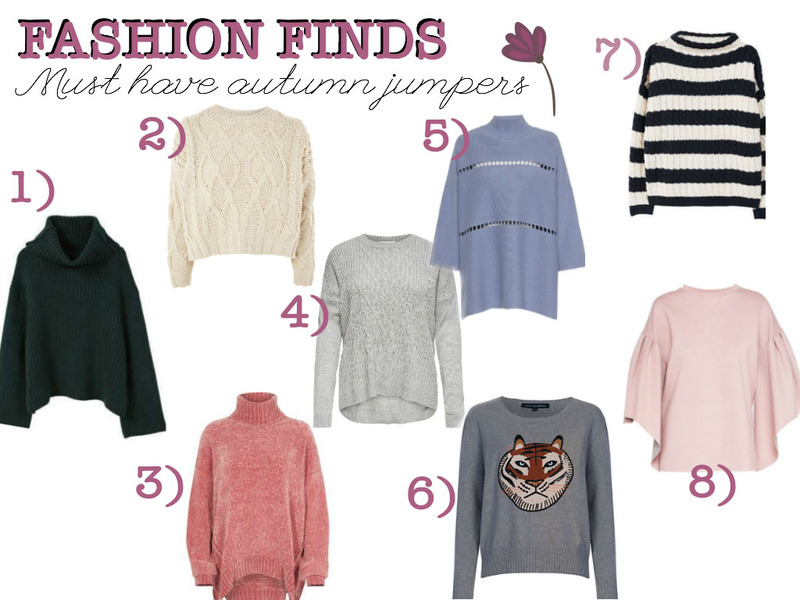 This is just a list of must-have autumn jumpers for this year that I have seen in some of my favourite stores! I wish I could buy all of these but number 1 is definitely going to be in my wardrobe soon!